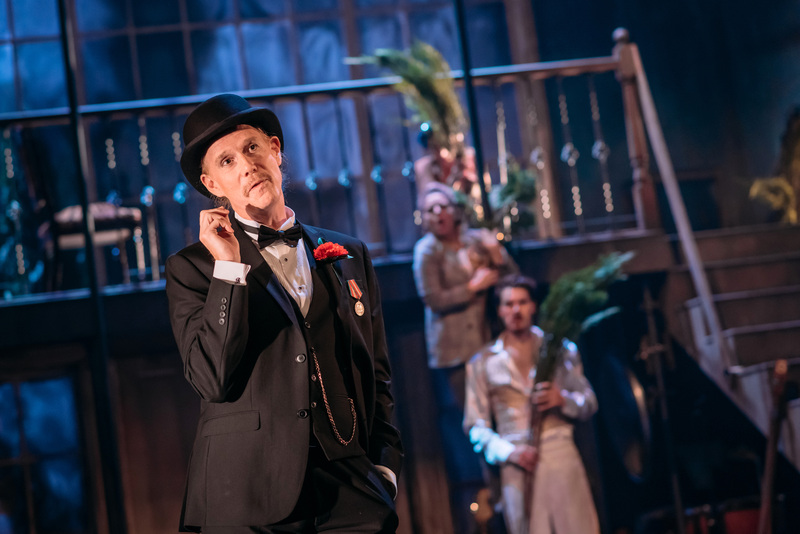 Christopher Green as the at-first smart-suited Malvolio has the audience in stitches as he sasses his way around the stage in yellow lycra, following a trick which makes him believe Lady Olivia has affections for him. 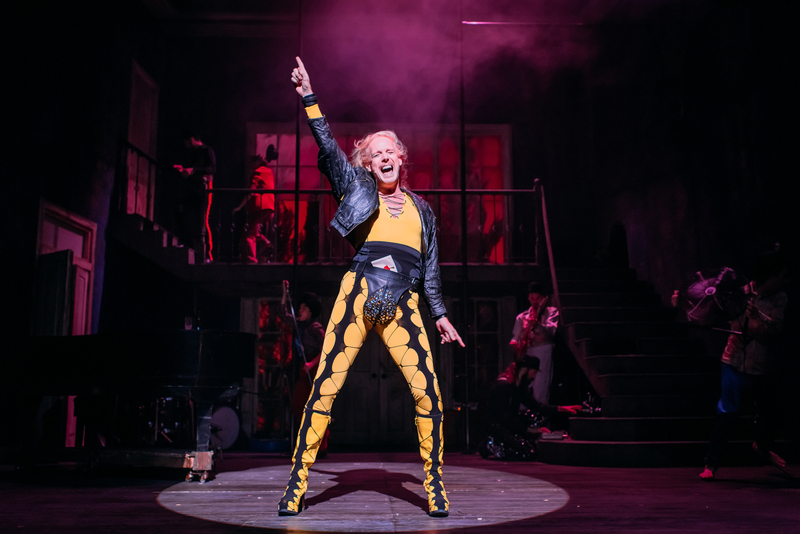 Christopher Green’s magnificent Malvolio thrusts greatness upon us with a glam rock performance in his cross-garters. 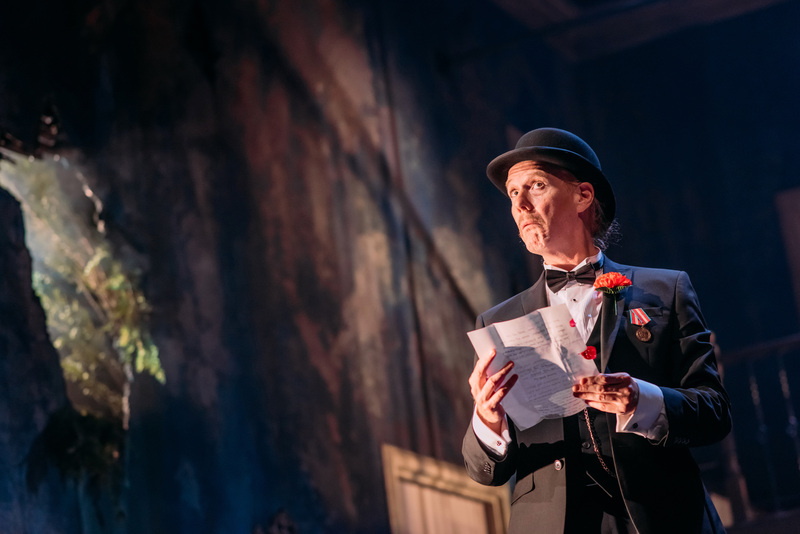 Christopher Green portrays Malvolio as a bowler-hatted, tightly buttoned bureaucrat whose transformation into a yellow-stockinged rock icon takes the concept of cross-gartering to new extremes. Yet, for all his outrageous posturing, Malvolio’s heartfelt suffering at the hands of those who trick him lends sympathy for a man who will always be out of step, casting his deceivers in a cruel light. Malvolio is a bowler hatted straight laced gent, magnificently played by Christopher Green. His transformation into a long-haired prog-rocker is probably the most hilarious scene in the play. No spoilers here but think Rocky Horror Show meets Shakespeare. I for one won’t think of yellow stockings (not to mention cross hatch garters) in the same way again. Christopher Green is the suited and bowler-hatted Malvolio. Pernickety, irritating and humourless. This is a lovely part given an excellent performance.